After thinking it over the team came to the conclusion that in the not to distant future, there will be a whole lot of unhappy REBUG users who want to enjoy their new True Blue Dongle only to realise that their hard earned save games which ran using the Fake Save Data Owner option will no longer work. 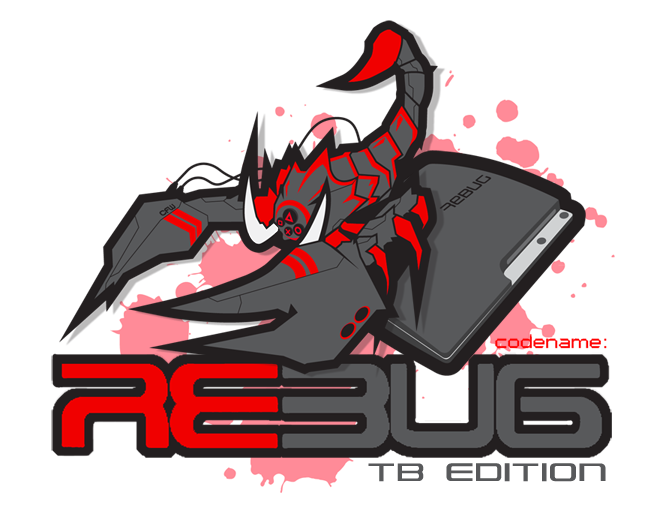 As a courtesy for our loyal users we have put together REBUG 3.55.2 TB EDITION. The Codename: Rebug Team take NO CREDIT for the COREOS work as we are using the True Blue CFW COREOS with the REBUG dev_flash files (straight swap, everything works so far!!). REBUG 3.55.2 TB EDITION can be installed over the same or lower version OFW/CFW/MFW on any model PS3 through the XMB or Recovery Mode. REBUG 3.55.2 TB EDITION can be uninstalled with the same version OFW/CFW/MFW on any model PS3 through the XMB or Recovery Mode. Just like the Official True Blue CFW, after installing REBUG 3.55.2 TB EDITION the True Blue Dongle MUST be connected to the PS3 for ANY of your backups to run. NOTE: Rebug Selector 1.5.1 and 1.6.1 are identical in their function but for some reason on random PS3 Rebug Selector 1.5.1 (Which we consider to be the more user-friendly) freezes. We have included them both just incase.